Two higher-profile veterans will lose their Cardinals roster spots to make room for younger players. The Cardinals waived both David Amerson and Kendall Wright on Saturday to clear space for kicker Matt McCrane and defensive end Vontarrius Dora. Both Wright and Amerson were in-season additions, the latter joining the Cards this week. But needs at other positions will send them to the waiver wire, where all vested veterans who are cut after the trade deadline go. The Cardinals worked out McCrane on Friday, and this signing may be an indication Phil Dawson will not be able to kick on Sunday. The 20-year veteran missed practice time with a hip injury this week and is questionable. This would be McCrane’s second game action as a rookie. He kicked in three games for the Raiders earlier this season but made just 5 of 9 field goals before being waived. The Kansas State product was in camp with the Cardinals and spent time on Arizona’s practice squad. A former Broncos UDFA, Dora has not played in a game since the 2016 season but has spent this season on the Cards’ practice squad and has shown well during preseasons. Rodney Gunter and Robert Nkemdiche‘s statuses are in question for Sunday, and the Cards made an insurance promotion in Dora. Wright caught on with the Cards earlier this year but has not played in a game since leading the Bears in receiving last season. Released by both the Raiders and Chiefs this year, Amerson logged numerous workouts before landing with the Cardinals on Tuesday. David Amerson went through a workout with the Cardinals on Tuesday, per NFL reporter Howard Balzer (on Twitter), and it evidently went well. The veteran cornerback agreed to terms with the Cards on Tuesday night, Adam Schefter of ESPN.com tweets. It’s been a season-long odyssey on the workout circuit for Amerson. 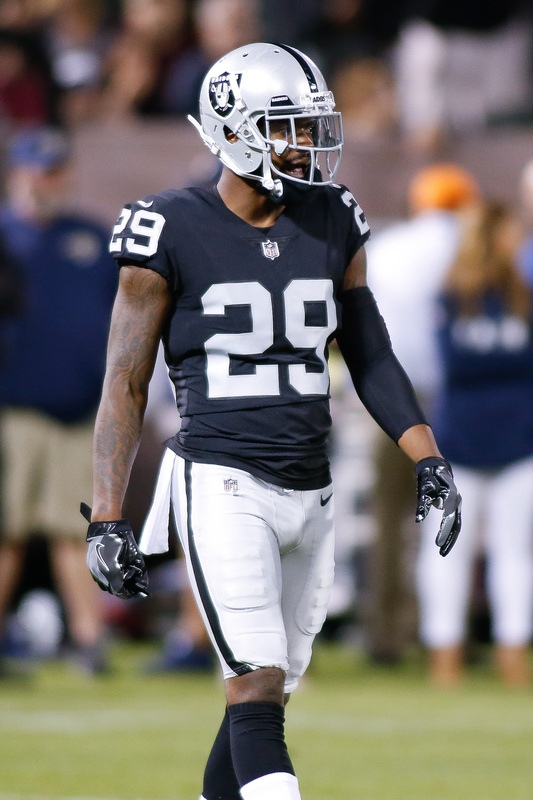 Both the Chiefs and Raiders released Amerson this year, with the former doing so just before the season. Since, he’s been traveling to auditions in hopes of getting back in the league. The Cards will afford him that opportunity. Amerson was a full-time starter for the Redskins and Raiders from 2014-17. He delivered a strong 2015 season and then signed an extension to stay with the Raiders. He wasn’t as consistent in 2016 or ’17, but started for the playoff-qualifying Raiders two years ago. Last season, Amerson was limited to six games. In between his Chiefs and Cardinals employment, Amerson logged an extensive workout tour. He tried out for seven teams prior to his Cards workout — the Lions, Cowboys, Bills, Patriots, Packers, Saints and Dolphins. The Cards and Dolphins auditions occurred this month. The others came in September. The former second-round pick visited with both the Bears and Texans in February. The Jon Gruden-led regime released him prior to free agency. The Cardinals will face the Raiders on Sunday. Arizona still has a roster spot available after the Amerson deal. The Saints’ addition of Patrick Robinson to their IR list prompted them to bring in a host of cornerbacks for Tuesday workouts and will induce them to visit with a higher-profile free agent. David Amerson will visit New Orleans soon, The Advocate’s Nick Underhill reports. 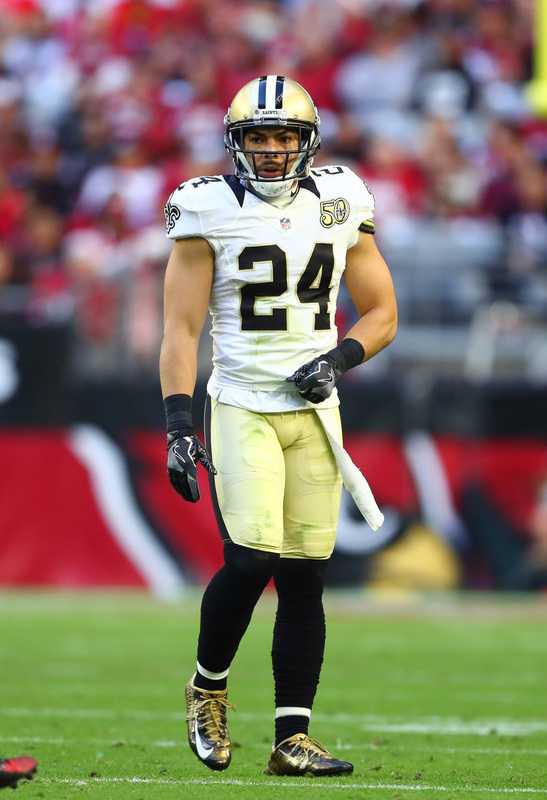 This will come after the Saints met with former Saint Sterling Moore, per Underhill. Moore met with the Bears on Monday. New Orleans also worked out Josh Robinson, Dexter McDougle and Robert Nelson, per NFL.com’s Ian Rapoport and Sirius XM Radio’s Adam Caplan (Twitter links). Moore played with the Saints from 2016-17. He started 12 games for the 2016 Saints before serving as a backup for a deeper Saints secondary last season. A four-year veteran, Nelson went to camp with the Saints but did not make their 53-man roster. McDougle had a brief Saints run last season, playing in one game during what’s been a four-year nomadic career. Amerson has been on the NFL’s workout circuit this month after failing to make the Chiefs’ 53-man roster out of training camp. He was a three-season starter for the Raiders whom Jon Gruden opted to cut this year. Amerson’s already attended two workouts this week, auditioning for the Patriots on Monday and Packers on Tuesday. Green Bay opted to go with the well-traveled Bashaud Breeland instead of adding Amerson. 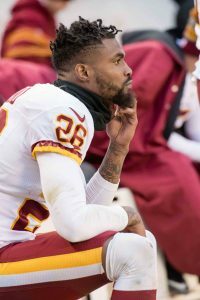 Bashaud Breeland‘s eventful stay in free agency appears to be over. The Packers’ cornerback troubles will lead them to sign Breeland, Rob Demovsky of ESPN.com tweets. It’s a one-year deal, NFL.com’s Mike Garafolo tweets. Green Bay placed Davon House on IR earlier this afternoon and was without Kevin King in its Week 3 loss in Washington, and the Packers will bring in the Redskins’ former No. 2 corner to help. The Packers on Tuesday worked out Breeland, David Amerson and fellow corner Arrion Springs, NFL reporter Howard Balzer tweets. Nearly a third of the league secured visits from Breeland, who took part in meetings in all four American time zones by attending summits with the Colts, Cardinals, Raiders, Chiefs, Ravens, Browns, Patriots, Dolphins and Buccaneers. Breeland met with the Colts twice. A nixed Panthers deal set Breeland on his complicated course during the offseason. A foot injury suffered in March led to Breeland’s $8MM-AAV Carolina contract being nullified. It’s highly unlikely his Packers deal is in that neighborhood. Breeland, though, was one of the top cornerbacks available when free agency began. He agreed to the Panthers deal quickly before the subsequent injury changed his offseason trajectory. Breeland will join a corner corps flush with young talent. The 2014 fourth-round pick will now be a part of a group housing a 2017 second-rounder in King, a 2018 first-rounder in Jaire Alexander and 2018 second-rounder Josh Jackson. Tramon Williams rounds out the Green Bay group. Breeland was a full-time starter with the Redskins, lining up with Washington’s first-string defense in 58 of the 60 regular-season games he played during his four-year stay in the nation’s capital. He will now begin his age-26 season, likely with an intent to impress for another run at free agency in 2019.